20 of the Best Date Ideas in Raleigh, N.C.
Valentine’s Day may be just around the corner, but the Raleigh area serves up the perfect places for romantic dates year-round! If you’re looking to take a trip with your loved one this season, you should take a peek at some of the best date ideas the City of Oaks has to offer. Whether your thing is art, food, outdoor activities or a combination of all three, you’ll discover that a date night (or day!) around Raleigh doesn’t disappoint. Downtown Raleigh is just waiting to be explored on your next romantic date. Admire bold exhibitions and unique art around every corner with a stroll through CAM Raleigh (the state&apos;s only non-collecting contemporary art museum). 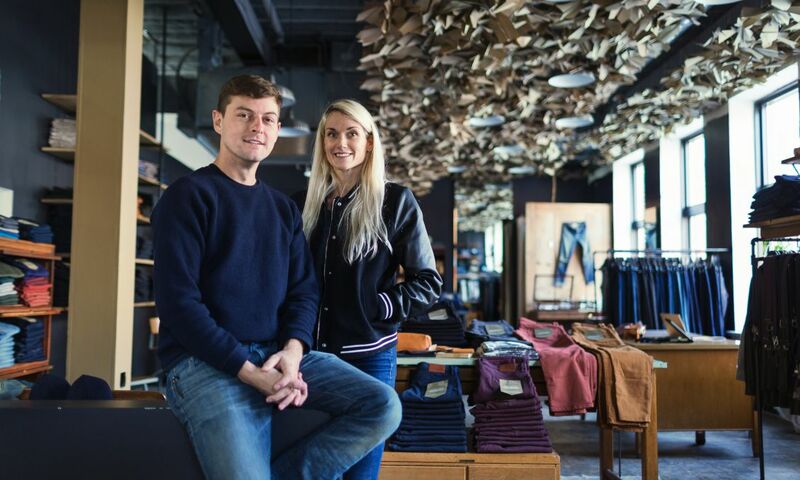 From there, hop across the street to Father & Son Antiques—one of the area&apos;s most beloved spots to hunt for vintage clothing and accessories, home decor plus books and records—plus grab a cocktail next door at Junction West, one of many new hot spots in Raleigh&apos;s Warehouse District. For a casual, daytime meetup or a relaxed evening, visit the North Carolina Museum of Art (open until 9pm on Fridays with live music and drinks! 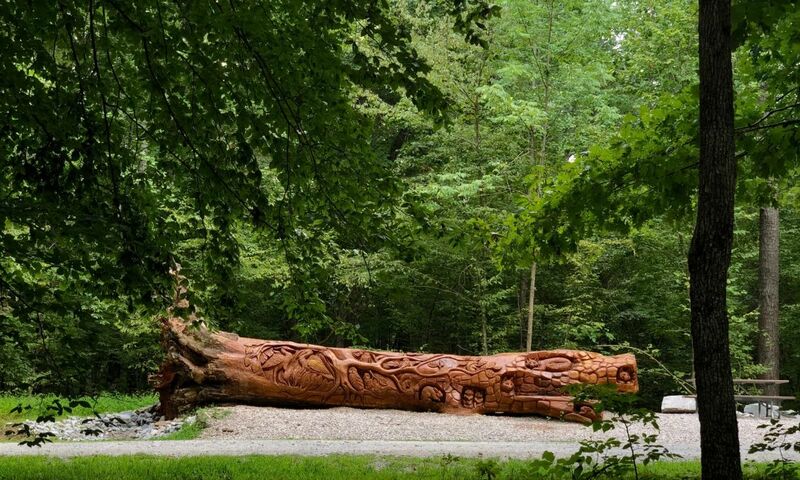 ), one of the top attractions in the state, known for world-class galleries inside and a gorgeous park and amphitheater outside (during the warmer months, this is your go-to spot for picnics). 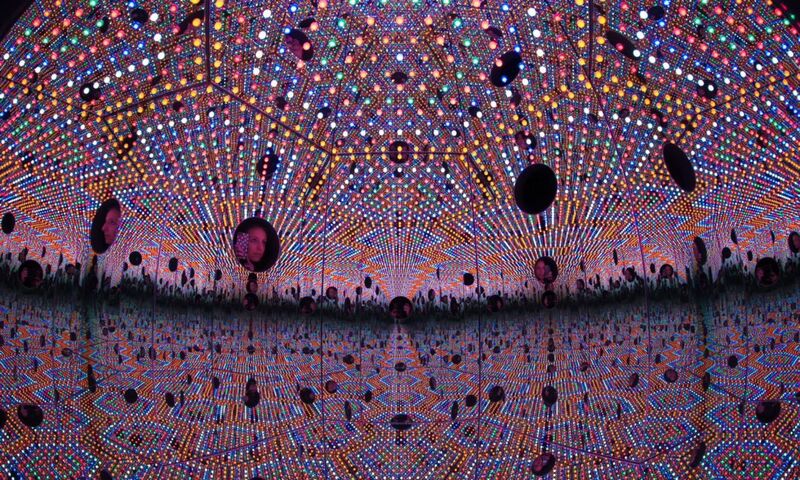 In the museum&apos;s West Building, you&apos;ll find this brilliant "infinity experience" by artist Yayoi Kusama. For a night of sophistication and class, make your way to Raleigh Wine & Design. Bring your own wine and allow their friendly staff to take you through a painting class ideal for amateurs, artists and everyone in between! The best part: You and your date get an original keepsake to cherish and remember. Couples who share a love of books should stop by So & So Books for some title perusing—find an old favorite or search the stacks for something new. The bookstore also happens to be located less than a block from Raleigh&apos;s original Krispy Kreme location, where the "hot now" sign signifies fresh donuts and big smiles all around. Another stop for book lovers and bookworms-in-love should be the incredible James B. Hunt Jr. Library at North Carolina State University. Dubbed the “library of the future” and the 14th most beautiful library in the world, this unique date idea is free, fascinating, futuristic and open to the public. 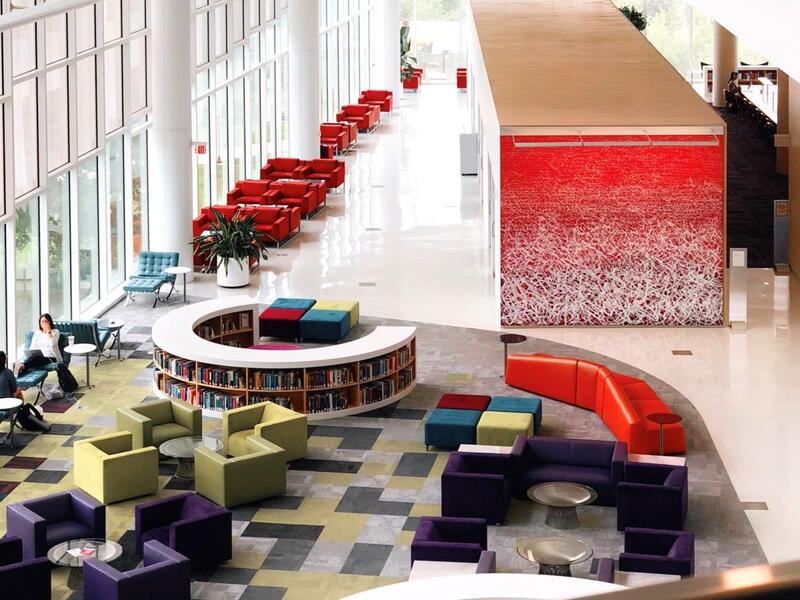 Take your date on a guided tour or a explore on your own, making sure you to pose for some photos along the way (the library is one of the most Instagrammed spots in Raleigh!). Nothing says romance quite like a date to a chocolate factory. Visit the bean-to-bar Videri Chocolate Factory, tucked away in Raleigh’s Warehouse District, where you can witness the magic of chocolate-making by taking a self-guided tour and seeing the process from start to finish (plus take part in a few taste tests). This is a guilt-free zone, so make sure you get your fill of seasonal bonbons, hot chocolate, truffles and even cocoa tea! If you need some comfort food after your sugar rush, grab a bite across the street at The Pit, a nationally-recognized restaurant where skillet cornbread, barbecue fries and triple-battered fried chicken abound, or settle in at Humble Pie, a small-plates restaurant with a gorgeous outdoor patio and live jazz music every Wed. evening. If you’d like to take your chocolate experience one bite further, head to The Chocolate Boutique in North Raleigh, where Wed. night chocolate-making is a true treat. Every third Wed. of the month, you and your date will get a lesson in the fine art of chocolate-making, a glass of wine or beer and half of a pound of chocolate to take home—the gift that keeps on giving! 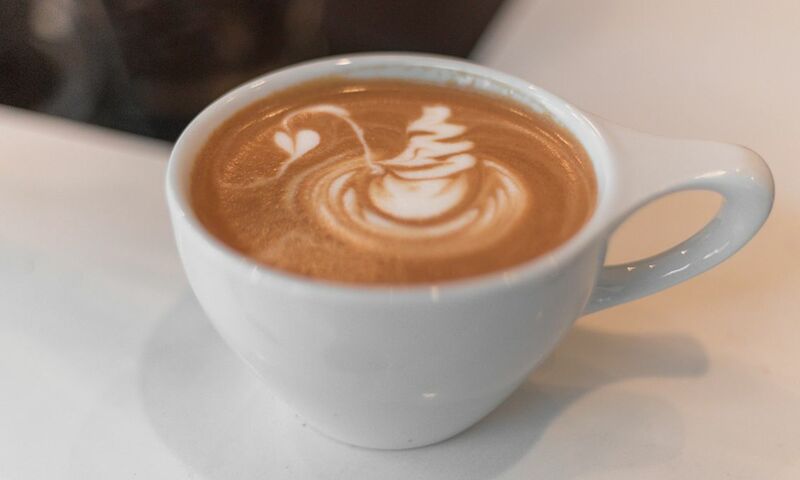 For a casual coffee date, head to Jubala Coffee, where enthusiastic baristas are eager to serve you fresh, quality coffee sourced from communities around the world. 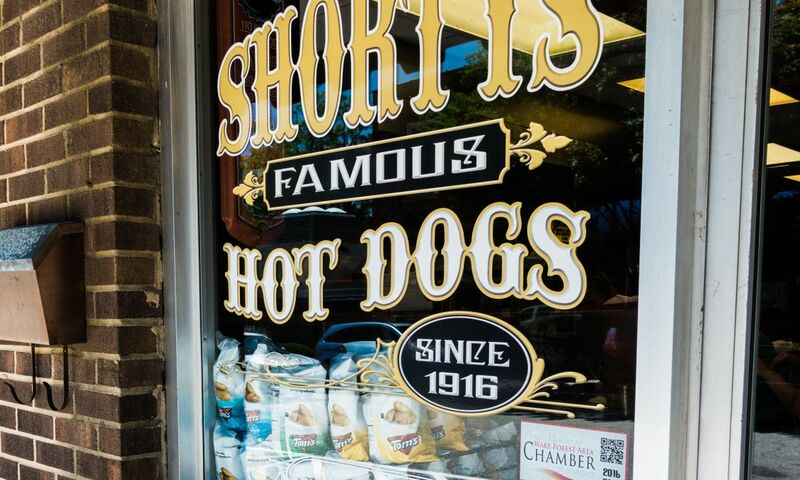 But don’t just try the coffee—reach for their famous, “highly-addictive” sweet biscuits as well. Add pimento cheese, apple butter or a variety of other spreads for a sweet taste of perfection. 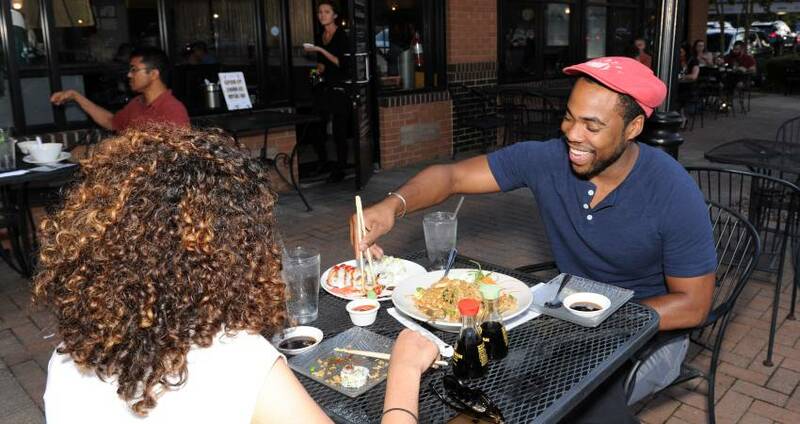 For more than 40 years, Irregardless Café has served downtown Raleigh as the perfect dinner date spot with a tasty and diverse menu that pleases vegan, vegetarian and hard-core carnivores alike. After dinner, hop across the street for a few belly laughs at Goodnights Comedy Club, a legendary spot that has hosted comedy talent from across the country for more than 30 years now. Speaking of restaurants, if there ever was a spot for the perfect rendezvous, it’d be Brewery Bhavana. As a brewery, dim sum restaurant, bookstore and flower shop, all your essentials for a perfect night are in one whimsical, downtown locale. Owned and operated by passionate minds and dynamic brother-and-sister duo, Vansana and Vanvisa Nolintha, Brewery Bhavana opened in April of 2017 and earned national attention when Bon Appétit named it one of the best new restaurants in America. To see if your love blossoms over cocktails, wander around the corner from Brewery Bhavana to find two cozy, hidden bars. Up the stairs at Centro you&apos;ll find Gallo Pelón Mezcalaria, a dimly-lit, artsy bar with a beautiful rooftop and fun murals. While their unique and delicious cocktail concoctions will make you fall in love with mezcal, they also have the classics like beer, wine and sangria—simple pairings for your fried plantains and taquitos. You can also discover The Green Light, a cool speakeasy nestled behind a bookshelf inside The Architect Bar & Social House. 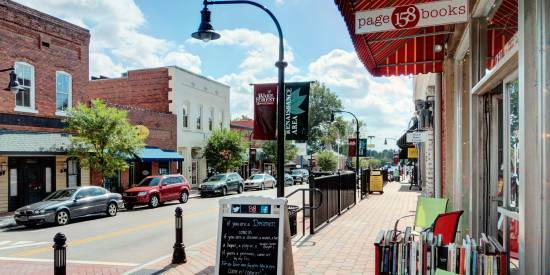 Enjoy a pleasant view of the streets of Raleigh from a place that maintains an air of mystery all its own. 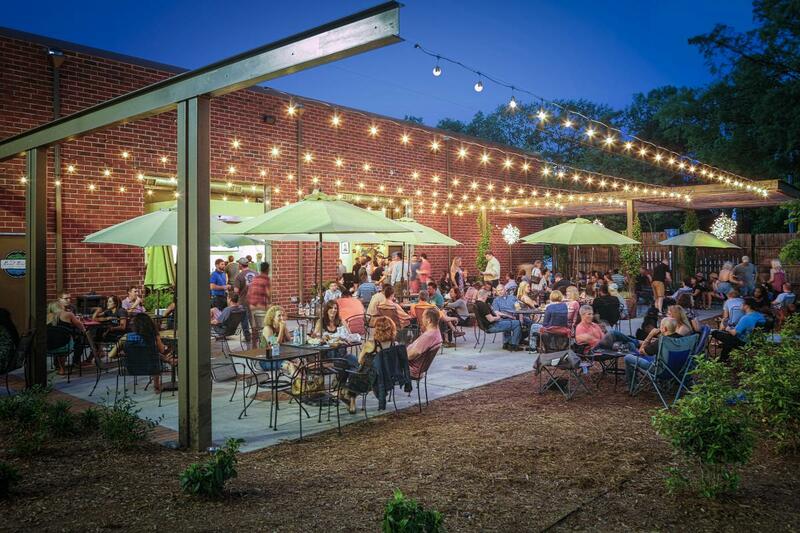 For a pup-friendly date night, try Bond Brothers Beer Company in Cary. With sours and stouts for you and a fresh water bowl for your dog, Bond Brothers’ fun atmosphere, food trucks and readily available board games make for a perfect, low-key evening. And if food trucks aren’t your thing, walk one building over to Pizzeria Faulisi for a quick bite of some of the area&apos;s best Neapolitan-esque pizza. For those extra special date nights, go for dinner at Caffé Luna, an intimate and inviting space on a beautiful corner of downtown Raleigh. Since 1996, generous Italian portions paired with exquisite wine have made for a romantic evening and a satisfied palettes. After dinner, step down the stairs and back in time for a modern rendition of a 1920s speakeasy with vintage library ambience at Watts & Ward. Stay for a cocktail or two and maybe catch some live jazz music while you lounge on their comfy leather couches. There’s nothing wrong with a little friendly competition during a date—especially when you’re at a bar as quirky as Boxcar Bar + Arcade. Bask in a gamer’s paradise with hundreds of arcade-style games (70 of which are classics), a full liquor bar with 24 constantly-rotating drafts and free, weekly tournaments and live music. 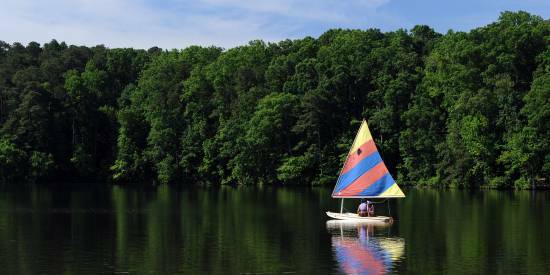 How about an outdoor adventure date at one of the many picturesque parks around Raleigh? Outside is in right now! 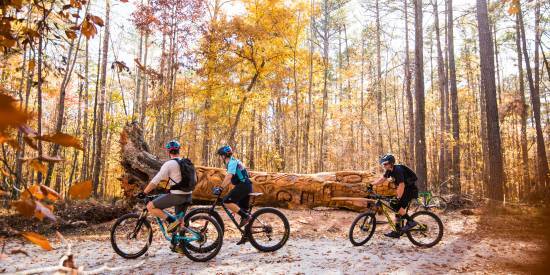 Bike, hike, run or simply stroll through more than 22 miles of hills and forests at William B. Umstead State Park, or go for a jog at sunset on the two-mile loop at Shelley Lake Park. Raleigh’s natural beauty will create the perfect ambiance for you and your loved one. 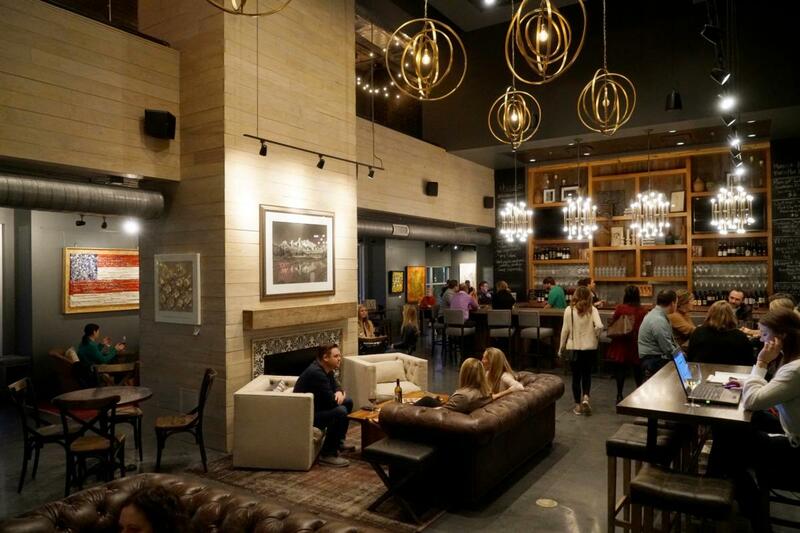 If your passions involves film, food or beer, the Alamo Drafthouse Cinema is a must. This favorite movie theater chain has an East Raleigh location worth dedicating a Fri. evening to. 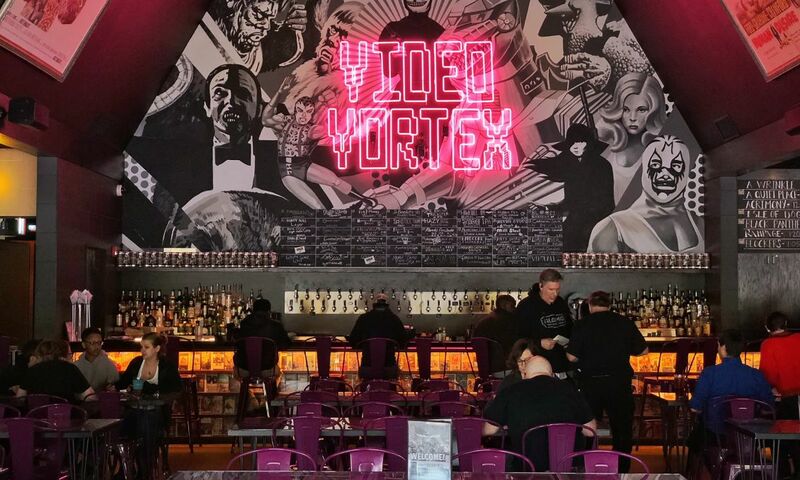 Before your film, arrive early to take advantage of the immersive Video Vortex, a first-of-its-kind bar with 50 local beers on tap and a collection of 10,000 VHS and DVD classics for you to browse through (or rent for later!). The bar serves a full menu, which can be served at the bar or in your comfy, cozy reclining seat inside the theater! Raleighwood Cinema Grill in North Raleigh is another great date spot for film fanatics. This unique movie theater takes the classic movie-and-popcorn experience to a whole new level. Beer, wine, ice-cream floats, pizza and wings are ready to be served to you and your date as you sit back and watch your flick of choice. Check their website for daily menu specials! How does getting stuck in a room with only your wits to help you escape in time sound? Terrifying? Exciting? The Times Up Escape Rooms in Cary will force you and your date to think fast and work together—before it’s too late! Great for group dates as well, this haunted hotel room can hold up to 6 people. For a memorable Midtown outing, King’s Dining & Entertainment takes bowling over the top. This is a great ice-breaker spot for a first date complete with funky cocktails, awesome music, cold beer and delicious grub. As if that’s not enough, Level7, a fun rooftop bar at AC Hotel Raleigh North Hills, and Vita Vite Art Gallery and Wine Bar are both within walking distance for that final night cap.